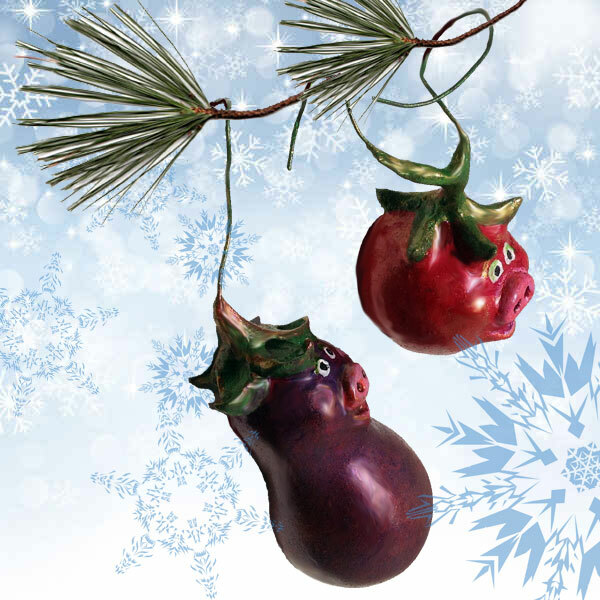 These limited edition ornaments are cute enough to eat! And you better order yours soon before someone else gobbles them up. 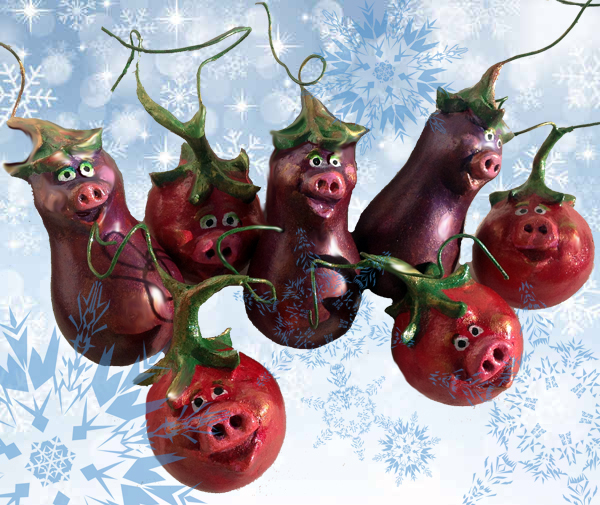 Only six Pigmato Ornaments and six Pigplant Ormanents exist. 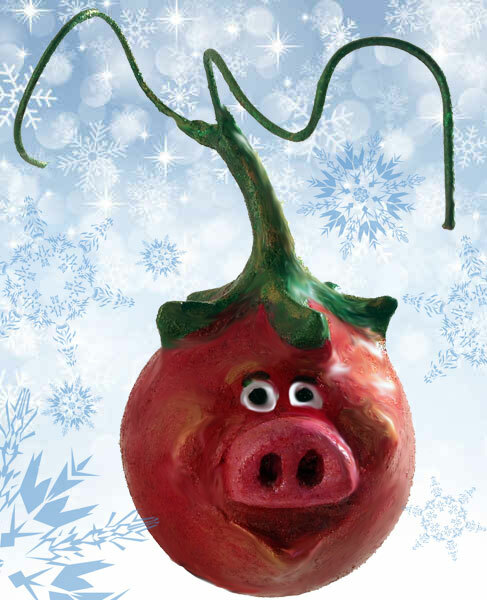 Each is handsculpted and painted by the artist and comes with a certificate of authenticity. Only $25 each plus shipping.